We are here to help you. To learn more about the claim submission and payment process, or ask us questions about your invoice, contact us at (800) 447-6424. Provide your proof of insurance information to your provider. You will not incur any charges for a phlebotomy draw. However, you will be responsible for any outstanding charges not covered by your insurance provider. You will receive a letter from the MML Business Office indicating that a claim has been submitted to your insurance company for testing. Please call our Business Office with any questions at (800) 447-6424. Your insurance company will provide an Explanation of Benefits (EOB) describing the amount it paid for the services and any amount you are responsible for, such as a copay or deductible. The EOB is not a bill. 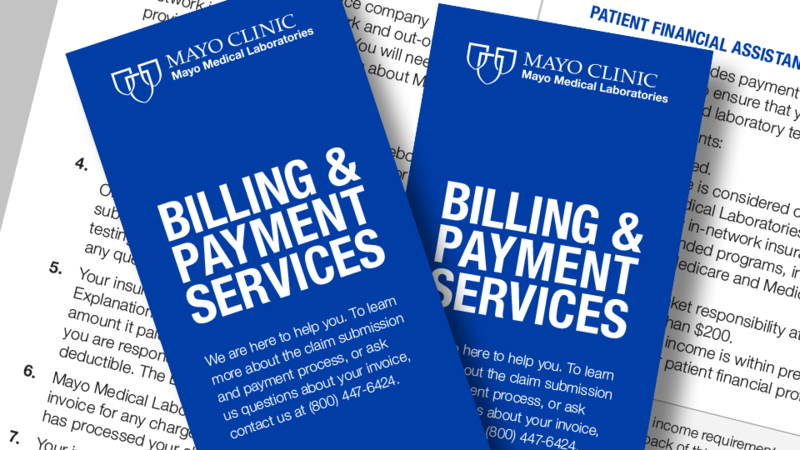 Mayo Medical Laboratories will send you an invoice for any charges you owe after insurance has processed your claim. Your insurance company may send you a check directly to cover the services. In those cases, the check can be endorsed and sent directly to: Mayo Medical Laboratories P.O. Box 9151 Minneapolis, MN 55480-9151. When MML is notified that you have been paid directly by your insurance company, we will send you an invoice until payment is remitted. To further discuss payment arrangements, please contact us at (800) 447-6424. This program includes payment plans and income-based discounts to ensure that you have access to MML’s differentiated laboratory tests. Your insurance is considered out-of-network with Mayo Medical Laboratories. If you are covered by in-network insurance and government-funded programs, including but not limited to Medicare and Medicaid, you are not eligible. Your out-of-pocket responsibility at the invoice level is greater than $200. 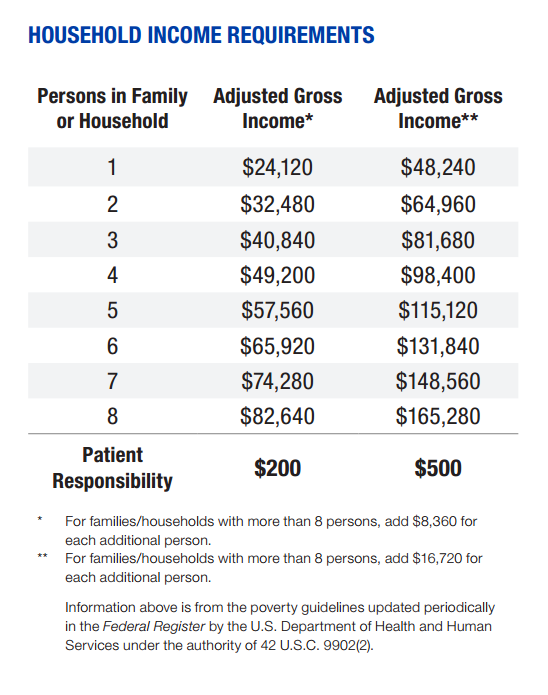 Your household income is within predefined requirements for patient financial protection. For a subset of genetic tests, MML will seek insurance authorization for eligible tests and file an insurance claim upon final results. If your out-of-pocket responsibility is less than $200, testing will be completed. If your out-of-pocket responsibility is more than $200, MML will contact the ordering provider with this prior authorization outcome, who will then confirm if you would like to proceed with testing.